Does your Internet keep dropping frequently? For example, each time when you want to access the Internet after not using it for a while. This issue most likely happens on wireless Internet. It’s really frustrating if your Internet keeps dropping. Luckily, here comes the real solutions. You can probably fix your issue through the following step-by-step guide. Power cycle can always fix lots of Internet, software and other woes. When your Internet connection isn’t stable, you also can try a power cycle on your devices. 1) First, please shut down your computer, router and modem. Then wait for a while, like 30 seconds. 2) Power them back on in such order: modem > router > your computer. 3) Check if the Internet still drops. Note: To power off/on your modem or router, you can use its power button. It’s with the word Power or the sign . An incompatible or outdated network adapter software can also cause your Internet drop frequently. In such case, updating your network adapter software can help you solve the problem. Moreover, make your device software up-to-date can make your computer run stable and fast. Even zero harm if you update them. 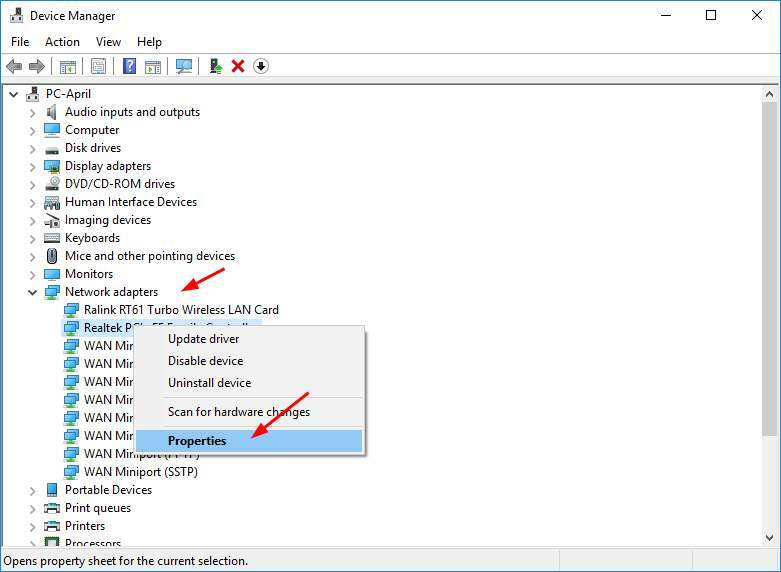 You can download the latest driver from your PC’s manufacturer’s website or the one of your network adapter’s. And the replace the previous one with the latest one. 3) With the Free version: Click the Update button next to a flagged Wi-Fi driver to automatically download the correct version of this driver, then you can manually install it. 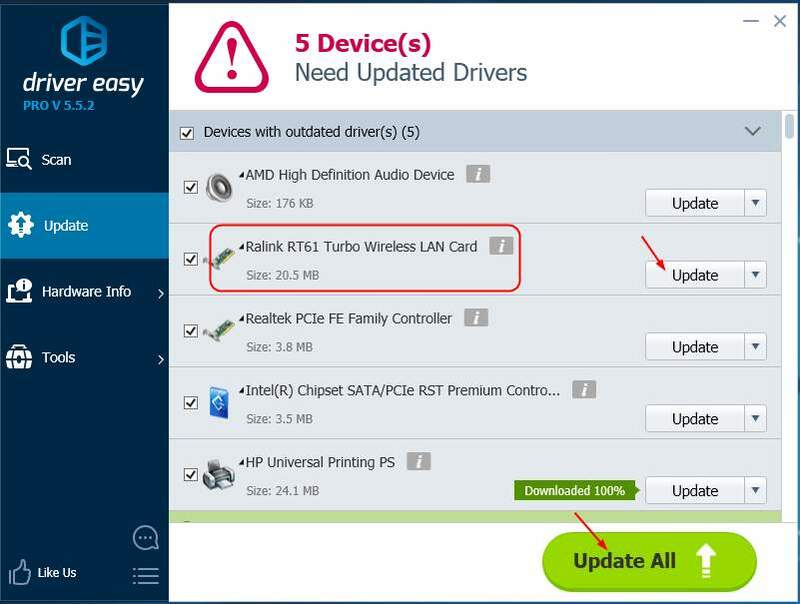 Note: After updating your driver, reboot your PC to make the new driver take effect. If your network card is set to shut down to save power, that would also cause the issue. Go with the following steps to check the settings of your network card. 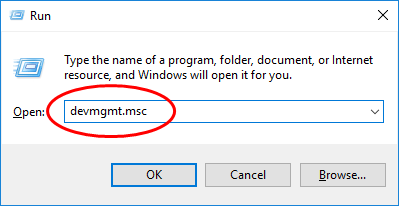 1) On your keyboard, press the Windows logo key + R key together to open a Run box. 2) Type devmgmt.msc in the box and press Enter. 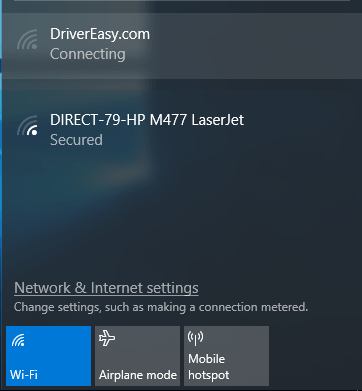 2) On the open window, find and expand Network adapters dialog. Then right-click on your network card and choose Properties. 3) On the pop-up window, tap on Power Management pane. 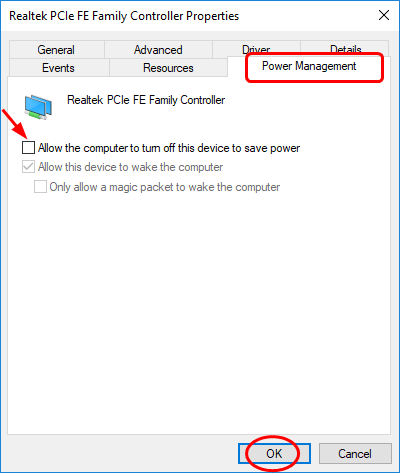 Make sure Allow the computer to turn off this device to save power is unchecked. If it’s checked, tick the box to make it empty and click OK to save your settings. Hopefully this article could help. Feel free to comment below with your own experiences.